Get ready to take your GED® test for $0! 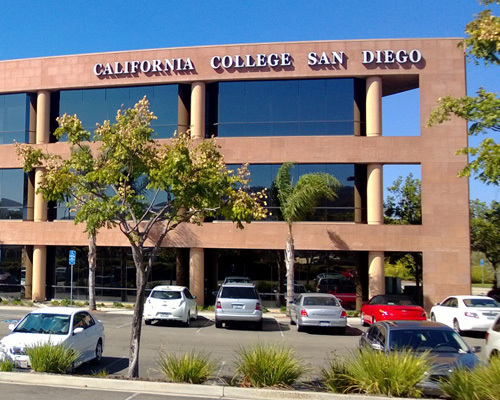 The San Marcos campus of California College San Diego has everything you need to prepare for your GED® test! With classrooms and computers available for GED® test students, you can learn your course material and take practice tests to help you get ready. Come see the campus today and get more info about our no-cost GED® test course today! George Rivera started in the admissions department of CCSD’s San Diego campus in 2009. In 2011, he transferred to CCSD’s new San Marcos campus where he was vital in setting up the campus and running the admissions department. He soon took over GED® test responsibilities in San Marcos and has been serving as GED® test coordinator ever since. George has been married for 25 years and has three children. He and his family enjoy camping, skiing, hiking, and jet skiing.